Sparkle with My Little Pony pride! This crystal studded decal will add the magic of My Little Pony: Friendship is Magic to your car window, notebook, or any flat surface. 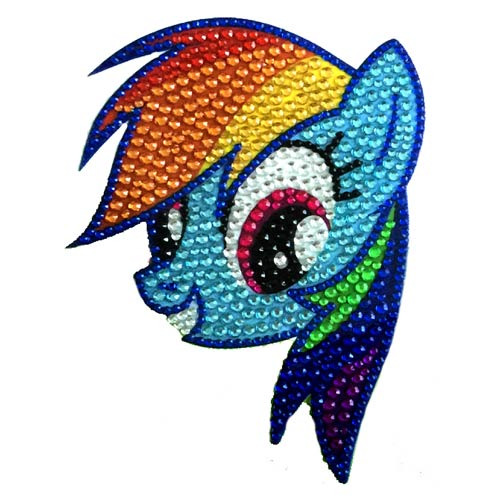 The My Little Pony Rainbow Dash Face Crystal Studded Decal measures approximately 4 1/2-inches wide x 3 1/2-inches tall. Ages 13 and up.